It’s your last chance to get a UCSA flu vaccine voucher for 2018! UCSA flu vaccine vouchers are now valid until Friday 31 August, 2018. For domestic students not enrolled at the UC Health Centre and international students, subsidised UCSA flu vaccine vouchers are available for you! Just pick up a voucher from UCSA Reception and pay $5.00 at the UC Health Centre. The flu vaccine clinic at UC Health Centre operates on Mondays-Thursdays 9.00am-10.00am and 2.00pm-3.00pm, and on Fridays 2.00pm-3.00pm. Please call the UC Health Centre on 03 364 2402 to make an appointment (see details on voucher). The Winter Wellness Expo is a free, all ages, non-alcoholic event for all UC students. It is brought to you by UCSA Help (Advocacy & Welfare) team, and will be held on Wednesday 26 July in the Undercroft, from 10am – 2pm. There will be stalls offering free second-hand stuff (e.g., clothes, shoes, household items etc. ), free brand new beanies, scarves and gloves (limited quantity), as well as free hot drinks and baking. Other stalls include Tenancy Protection Association, Christchurch Budget Service and Community Energy Action’s curtain bank! The NZ Police will be there to label phones, laptops etc. with UV markers, and give students tips on how to prevent burglaries. NZ Fire Service will also be there to give students information on fire safety. a powerboard safety testing station. So find those garments that need mending, retrieve any powerboards that have not been safety tested, pack your laptops/phones/gaming devices, and bring them all down to the Undercroft during Winter Wellness Expo. Note: Please bring some bags to pack the goodies in. Thinking about staying well over winter? Starting to prep for exams? 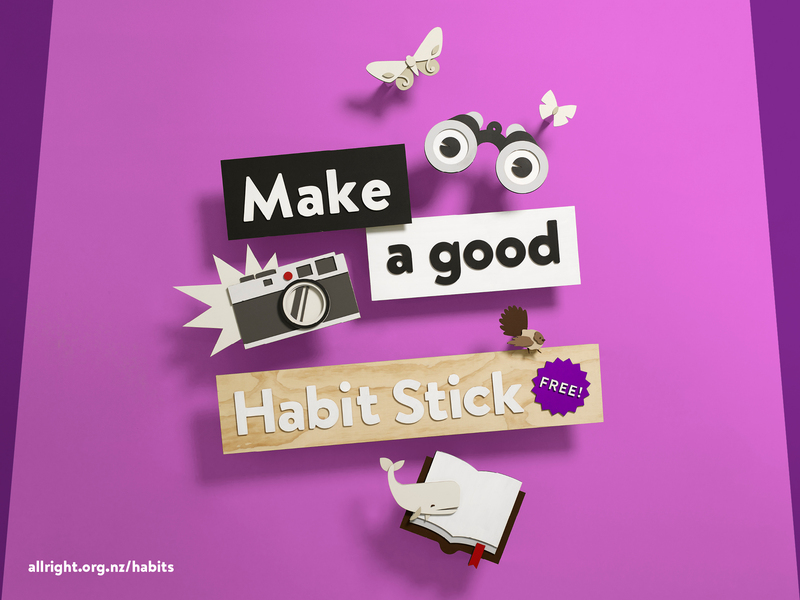 What a great time to make a habit stick with a …Habit Stick. The awesome team at All Right? have come up with the crafty Habit Sticks. Habit Sticks will be popping up around UC, but if you register online in May you go into win awesome prizes. There’s some great science behind the Habit Sticks that prove these little beauties really do help you form new habits. All Right? Make your new habit stick!